Pacing for Pain, my new ebook for people having difficulties managing activity when they have chronic pain, has sold three copies! I’m delighted, really, because I suspect most books or ebooks don’t sell any copies. So I’m working on a marketing programme. Smashwords’ Founder Mark Coker has written several ebooks about how to be successful in publishing and they are full of great information. One of the benefits of Smashwords is that it delivers to all the major ebook retailers, lenders and libraries so your work can get a wider distribution. It’s important that people know they can get your title in the format they prefer and there are many, although a few dominate in percentage terms. I’ve uploaded the copy files and the cover to CreateSpace and now I’m waiting to see if there are any big problems with the formatting or sizing. The CreateSpace system is amazing in the way that it takes you through the process but as with all new skills there are still some things that stump you. 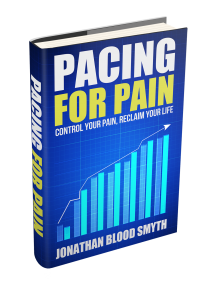 As “Pacing for Pain” is a niche book about an aspect of pain management it is not a large volume. It makes 137 pages in all so I chose a small trim size, 5.06″ x 7.81″ (12.852 x 19.837 cm), which is a standard for paperbacks here in the UK. The most confusing aspect was the cover. I had a pdf file of a cover designed for me but the CreateSpace requirements were full of margins and bleeds. I imported their template into Photoshop Elements and tried to make the back cover and spine a matching colour. And add some blurb while not getting in the way of the margins. So I have really no idea if the file I have uploaded will pass scrutiny but I’m hoping for the best, then I can order a proof copy and see what it looks like. The small amount of work I have done in looking at book design has really opened my eyes to how standardised books are and how complex a simple book can be. It’s important to get this right as we instantly notice when something is not right and books have evolved over hundreds of years to suit our eyes and reading habits. Finally done it! 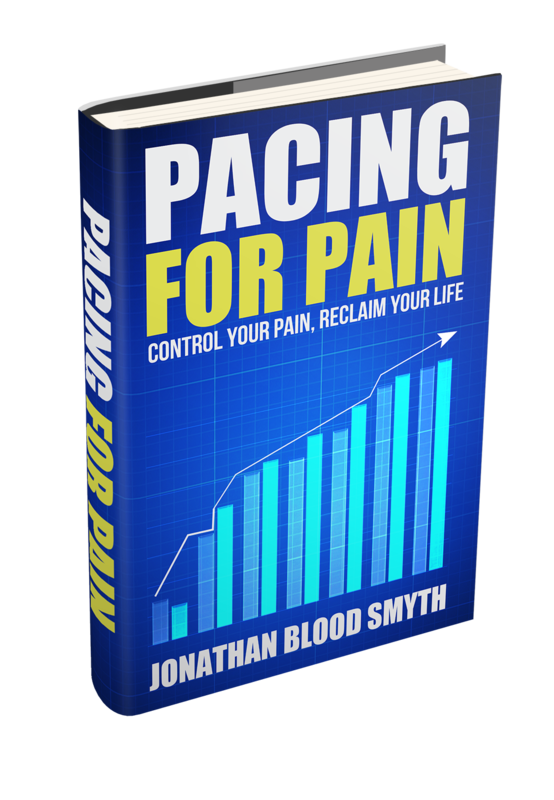 “Pacing For Pain” is now published on Smashwords and is available in all the major ebook formats. The Smashwords system is very easy to use and there are several very useful (and free!) ebooks all about getting the best out of your ebook. So I’m a fan. While I love Scrivener for the writing and research I have come over to simplicity. Smashwords prefers you to upload a Word file so that its conversion engine (The Meatgrinder!) doesn’t mangle your precious manuscript. So I abandoned ideas of this nice font or that spacing and went for Times New Roman all the way through with Arial for headings. And kept the font sizes to 12 for body of text and 14 for headings. I think the guys and girls at Smashwords are right, your ebook needs to be simple, clear and legible so nothing gets in the way of transferring ideas from your mind into the mind of the reader. My writing is about text, there are few images, and this means that it really suits the simple ebook format. So my next ebook, which will be about knee replacement, will be ALL written in Times New Roman and 12pt text until it’s edited and polished and finished. Then at the last moment I’ll define the styles for the heads and subheads and I’ll be done! I’m rushing slowly towards the publication of my first ebook. I now have all the requirements, a cover image, the text, the illustrations and some idea of how to do it all. There’s a lot of detail to watch in ebook publishing as I have said. However, modern systems allow all of us to publish something if we have the interest. There are no gatekeepers now. We don’t have to persuade someone in a publishing company that our work is good enough. Looking at how many very successful authors had their work rejected regularly it’s clear that this was a competitive and often inaccurate process. I’m thinking I might use Smashwords as they process the submitted file into the various formats required by the variety of ebook sellers. The more sellers offer your work the better, initially I thought I’d just do Kindle but now I’m converted to a wider market. So things to do: proof read the (almost final) draft, check the paragraph styling, check the fonts, check the cover image, output from Scrivener into the ePub format which suits Smashwords, validate the ePub file, and hit the publish button. And some other stuff too. I’ve got until the end of this week (12th December 2014) to get it published. Since the ebook is about pain I don’t think the Christmas market is going to be big for me!